"Includes : bad sector repair tool, test speed , S.M.A.R.T. information, surface". BSEditor: Includes various tools : bad sector repair tool, test speed , S.M.A.R.T. information, surface test, check media stability and controller test. 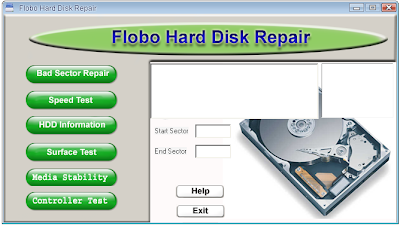 Is the hard disk drive monitoring and failure prediction and repairing software for repair and testing. It uses S.M.A.R.T. technology to monitor the health status of hard disk drives, prevents data loss and predicts possible drive fail. This application include HDDBadSectorRepair. eBook Edit Pro is windows based software designed to help you easily create eBooks. 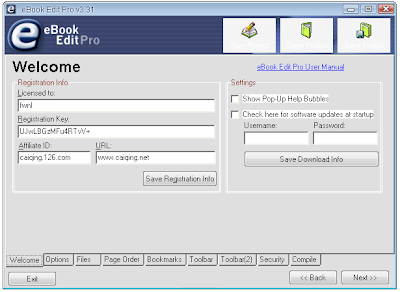 eBook Edit Pro takes HTML pages and compiles them into a self-contained executable file. What is eBook Edit Pro? Simply put, eBook Edit Pro is software that takes HTML files and creates a single executable file that resembles a web-browser. 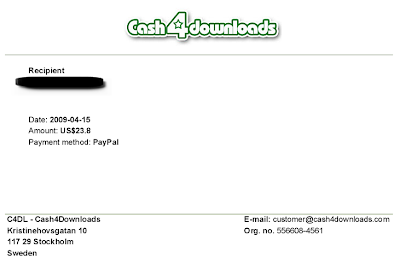 Unlike HTML pages, your newly created eBook is secure when packed into this form. The software uses easy to navigate step-by-step tabs to guide you through the eBook generating process. 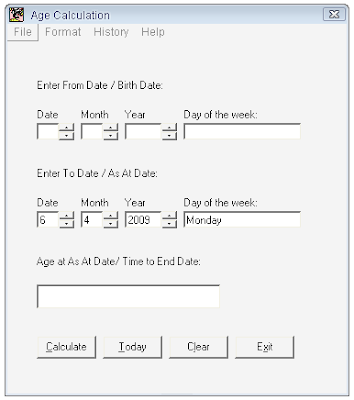 Why use HTML files instead of text, doc, pdf, etc? What kind of eBooks can I create? Pengen tahu usia anda sekarang? sudah berapa tahun berapa bulan dan berapa harikah usia anda sekarang? Anda bisa menggunakan software Portable AgeCalc 2.0 untuk menghitungnya, anda hanya perlu untuk memasukkan tanggal lahir anda saja. 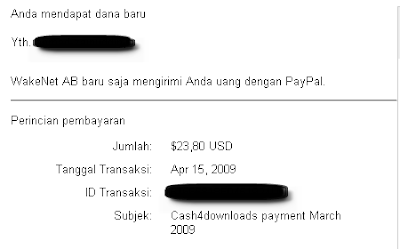 Terima kasih banyak kepada para pengunjung yang telah mendownload software-software yang saya sediakan di situs ini, dan tak lupa pula kepada para refferal saya semua.